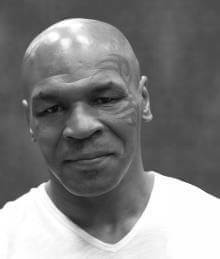 Born: 30th June 1966, Brownsville, Brooklyn, New York, U.S. 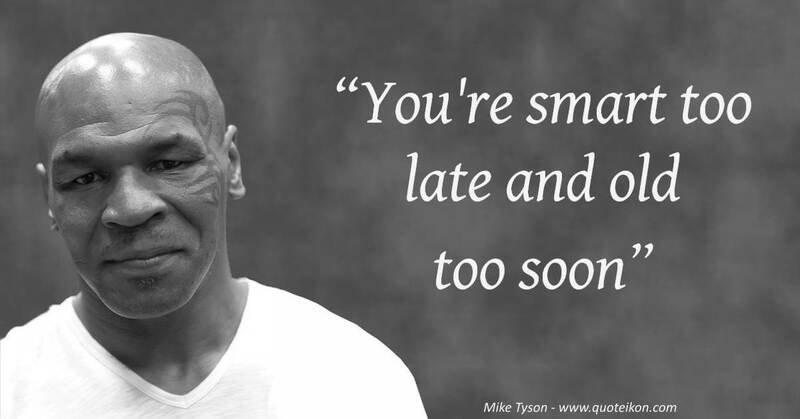 Quotes about Mike Tyson: His opponent David Jaco said of his fight: "He was quick, like a cat. He came in so low to the ground. I was bent over, trying to hit him. But he just came up and bang, bang. He was for real back then"
Another opponent Donnie Long had no recollection: "I remember going to the fight, and I remember waking up in the hospital. As far as the actual fight, I can't tell you a single thing"
Julius Francis rued the day he faced the boxing legend: "Tyson had this unbelievable intensity and ferocity about him. He hit me immediately with a big right.... I was shocked by the speed and power of the punches that followed. I was knocked down in the first round.... It was relentless"
"Everyone has a plan ’till they get punched in the mouth"
"I was gonna rip his heart out. I’m the best ever. I’m the most brutal and vicious, the most ruthless champion there has ever been. No one can stop me"
"I could feel his muscle tissues collapse under my force. It’s ludicrous these mortals even attempt to enter my realm"
"There are nine million people who see me in the ring and hate my guts. Most of them are white. That's OK. Just spell my name right"
"I've been a loner all my life with my secrets and my pain. I'm really lost, but I'm trying to find myself"
"Everybody you fight is not your enemy and everybody who helps you is not your friend"
"Fighting is a sport; if you're not humble it's going to bring humbleness to you"
"I ain't the same person I was when I bit that guys ear off"
"I'm the most brutal and ruthless conqueror there has ever been"
"Discipline, doing what you hate to do but do it like you love it"
"Y’all guys know what I do…I put people in body bags"
"I was always also addicted to chaos. Perfect chaos"
"Every shot was thrown with bad intentions"
"You're smart too late and old too soon"